Fast growing upscale casual concept seeking Restaurant Managers! Ensure our brand standards are met. I enjoy recruiting because I get to help candidates with their careers — it’s not just about helping them find a job; it’s about helping them make their next career move. I love being able to assist my clients in finding the right type of candidates for them, and when I see a right fit for them, it makes it worthwhile. The reason I love working with Goodwin is the support, the diversity in client profiles, and working with other recruiters to help clients and candidates! 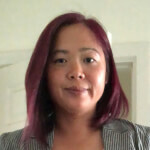 Peggy Hong joined Goodwin Recruiting in January 2018. Peggy grew up in Chicago/Champaign, Illinois with hard-working parents who taught her to have a strong work ethic, integrity, and to be respectful. She has a lot of respect and love for her parents who came to the States from Korea and became business owners. She discovered her passion for cooking in college and decided to go to culinary school in Los Angeles after college. She worked with several restaurant groups in LA, working her way from Pastry Chef to Executive Chef. Peggy attended Illinois State University where she received her BA in English Literature. Peggy worked for BOA Steakhouse in West Hollywood and Santa Monica for seven years, starting out as a Pastry Cook and working her way up to Executive Sous Chef. She learned a lot about scratch cooking, management, and corporate structure. Peggy also worked for companies such as Obika Mozzarella Bar, Pit Fire Pizza, Wildcraft Sourdough Pizza, and Primitivo Wine Bistro. She has opened several restaurants from the ground up, set up training, implemented systems, and was a part of menu creation. In her free time, Peggy enjoys kickboxing. She has been doing it for about two years and loves the workout! She has two dogs and a rabbit. They each have different personalities, keeping every day fun and interesting. She is a huge foodie and loves to try different restaurants and especially desserts.